This week's Kickfurther Merchant of the Week is Ever Bamboo, Inc.. In case you didn't know, Kickfurther is a company that crowdfunds inventory for businesses. Instead of loaning the companies money, Kickfurther purchases inventory from a business and then returns it to the business to sell on consignment. As the inventory sells, investors are paid. The founder and CEO of Ever Bamboo, K.B. Lee is visiting with us today. K.B., tell me a little about yourself and your company--what is your background, why did you decide to sell bamboo charcoal deodorizers, and how did you go about starting the company? A: My passion has always been in entrepreneurship, probably because of a gene that I inherited from my grandfather who co-founded a towel factory in Hong Kong, and my father who owns a general insurance agency in Calgary, Alberta. After graduating from Civil Engineering in university, I helped my dad grow his insurance agency later forming my own agency branch. Over time, I found it hard to scale such service-based business and lost my passion for an industry that is very traditional, heavily regulated and geographically restricted. I started to look for a business that was more exciting and rewarding. I saw bamboo charcoal deodorizers and dehumidifiers for the first time while travelling in Asia in 2006. On the same trip, I visited a trade show and met a bamboo charcoal manufacturer. The idea of Ever Bamboo was conceived then and there. I started testing the products at local festivals in the first year and started to get into some local retailers in the second year. Little did I know that building a global brand and introducing a new product to market is both challenging and fulfilling at the same time. The fact that we now have retailers across North America and Australia allows me to travel to new places. Each day is an adventure with new challenges and opportunities. I began testing the products at local festivals in my first year of business, finding my way into stores by the second. I learned that it is hard work building a global brand and introducing new products to the market, yet each day is an adventure with new challenges and opportunities. Now we have retailers across North America and Australia, with more countries “rethinking the stink” on the horizon. Q: Sounds like a great attitude. I've heard it said that if you show me someone who has never made a mistake, I'll show you someone has never done anything. The information on Kickfurther says that you became aware of Bamboo Charcoal when you visited Asia. Where are your products made today? Where is the bamboo grown? A: All of the bamboo charcoal deodorizers and dehumidifiers are made in China. They are made from a specific type of bamboo called Moso Bamboo, which is heavily populated throughout China. Q: I know a lot of people are concerned about things made in China being laced with chemicals like lead or arsenic. Are you sure these products are safe? A: Bamboo Charocal is derived from the natural growing moso bamboo. It is one simple ingredient making it safe for humans and pets everywhere! Q: I'm curious about your room deodorizers. How do they work? What do they look like? A: The Room Deodorizer is one of our bestsellers. It’s a square pouch filled with 200 grams of unscented bamboo charcoal granules. You could set it in a room up to 100 sq.ft. Because bamboo charcoal is extremely porous (with millions of tiny holes) and has a negative ionic charge, it absorbs odors and excess moisture in the air, as they have a positive charge. To reuse the product, simply leave the pouch under direct sunlight for 3 hours on each side very 2-3 months. The UV rays open up the pores to let out the odors and moisture that were trapped inside. The product lasts up to one year, and once it loses it's odor-fighting ability, it is easily recycled; just mix it with soil for gardening. Q: Is that good for plants? A: The charcoal granules deter pests and regulate moisture in the soil, and are ideal for gardening, delicate plants like orchids, indoor terrariums or clever home accessories. Q: So I can take the pouch and put it inside a decorative bowl or something, or do I have to, I guess for lack of a better word, display it? A: Set is out anywhere, and get creative! Q: Which product is your best seller? 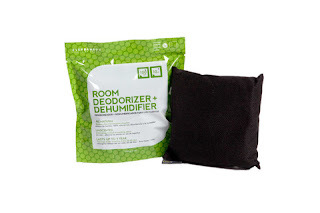 A: Our bestsellers are the Room, Closet, and Shoe Deodorizer + Dehumidifier. Q: Who invented the Bamboozler? Does he/she have a story? 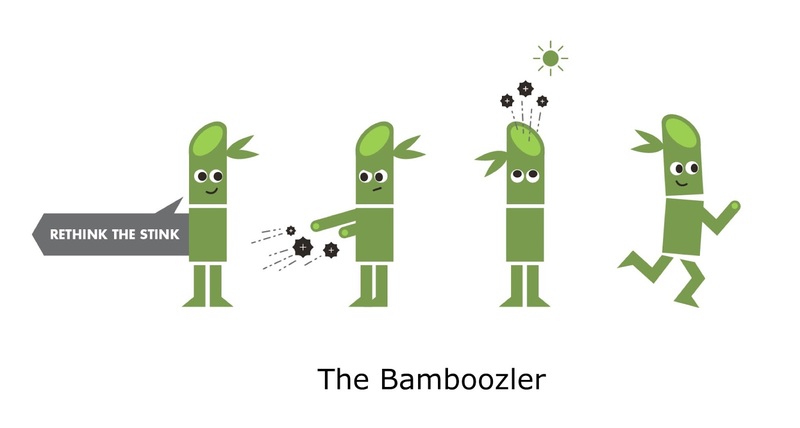 A: The story behind The Bamboozler is that while brainstorming our new approach to a brand voice, our creative copy writer & strategist Natalie Bonelli brought the idea of a cartoon/mascot to the table for packaging and marketing purposes. She felt that there needed to be something ‘fun and original‘ to set us apart in the market, and that putting a “face” if you will, to the brand would resonate with consumers not only in a fun visual way, but by driving home the 3 R’s (Rethink - Reuse- Recycle) of ease and sustainability of Ever Bamboo’s message. I took this concept to our brilliant illustrator and creative designer Felix Wong and the moment I saw his rendering, I knew he nailed it. This team effort brought our little guy to life, but now he needed a name. The team came to the table with a lot of really fun ones, so we decided to have a crowd-naming campaign on social media - entitled “BamWHO?" - and ultimately Natalie’s name, The Bamboozler, came out on top. We think of him as our SuperHero of Stink as he bamboozles must and odors anywhere, anytime. Watch for more of him in the future. Q: How did you hear about Kickfurther and why did you decide to use them? A: Kickfurther approached us. I like the concept of crowdfunding ever since Kickstarter got popular. Kickfurther is a natural match because it’s a win-win for both backers and us. Q: What do you see as the advantages Kickfurther has over conventional financing? A: Conventional financing has lots of restrictions and not easily accessed by new and small companies. For short-term inventory financing, Kickfurther fills a niche that I haven’t seen being done before. Q: Have you tried Kickfurther from the investor side? Would you recommend it to your family and friends? A: Yes, I became a backer two weeks ago just to see what it’s like and experience the process as a backer. I have recommended Kickfurther to other businesses (to pitch) and friends (to back) already during this short time frame. Q: Well, K.B. I hope you are successful not only with Ever Bamboo, but also as a Kickfurther Investor. Readers, if you want to help companies like Ever Bamboo and (hopefully) make a few dollars, invest via Kickfurther. If you use this link, you get $5.00 toward your first investment. If you have a business and want to explore using Kickfurther to finance your inventory, use this link and I get a commission. K.B., is there anything else you'd like to tell us? A: I'd like to offer your readers a chance to try our products. I'm making two offers: First, all of your readers get a 15% discount in our online store. Just enter the code give_stink_the_boot on check out (Expires 3/15/2016). 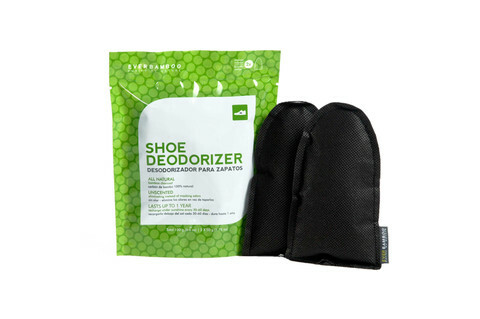 Secondly, we are giving away three pairs of shoe deodorizers to two readers. Q: Ok readers, the Rafflecopter gadget is below. Thank you so much for the giveaway and for joining us here today, K.B. Part of financial planning for those approaching retirement is doing what you can to "launch" your children. Most of us expect our teens to eventually get real jobs, move out, and set up their own households. We expect that they will be able to afford a standard of living not too unlike our own. Parents of special needs kids know that such goals may not be realistic, but we want our kids to have as much independence and normalcy in life as possible and part of that is having a job and earning (at least part of) your own way in life. My twenty-three year old son is autistic. While he has a high school diploma (a real one, with an ACT score that qualified him to skip remedial classes at the community college) he has no interest in higher education and no real career goals. He has poor fine and gross motor skills and almost no social skills. He can't handle the heat involved in working outside. Needless to say, that combination makes job hunting difficult. Since he has been gainfully employed for over a year now, I thought I would share some tips with parents who have special needs children who are seeking jobs. When the kids get into high school, part of the IEP will address transition services. Pay attention to that part, and push for services. See what the school offers, and try to take advantage of it--and if you do not think they do enough, do some research and propose different services. I'll admit to not using this service very well and it is something I should have learned about earlier in the process. Remember that while the teens are in public school they are entitled to services; once they graduate or age out, they are qualified for services, but only get them to the extent money is available. Get what you can from the school system. Even if the goal is a high school diploma (or college) try to get them into a program that focuses on getting and keeping a job. Remember, the kids can stay in high school until they are twenty-one so unless you are getting a lot of push-back from your child about graduating on time, stay in school and get all the job training you can, in addition to the academics appropriate to your child. Once a special needs child turns 18, she/he qualifies for SSI based on his/her own income/assets rather than the income/assets of the parents. Once the young adult qualifies for SSI she qualifies for "Ticket to Work", a program that helps SSI recipients get jobs. Social Security contracts with public or private agencies which provide services to disabled individuals. While I can't say how it works in all states, in Louisiana, Social Security refers you to the State Department of Rehabilitation, which does a needs assessment and intake interview. Goals are set and then the disabled individual (or family member) picks service provider. Regular Employment: People with mild handicaps or handicaps that do not affect their job performance can aspire to regular jobs that they find themselves. There are tax benefits to employers who hire them. Supported Employment: Those who need help finding a job, interviewing for one and adapting to it once hired are candidates for supported employment. A service provider helps the disabled individual identify possible jobs, apply for them, and interview. Once the person is hired, the service provider can send a job coach with the new employee to help him learn the job and to help the employer see how to deal with whatever the person's disability is. The job coach fades out but both the employer and employee have long-term access to the service provider if a need arises. Sheltered Employment: If a disabled individual is unable to perform any job functions in a manner that makes it economically feasible for a business to hire them, sheltered employment may be the only option. Companies or agencies offering sheltered employment have to meet certain qualifications but the bottom line is that they often pay less than minimum wage and usually offer ongoing support and supervision in excess of what a normal employer offers. Employees may be paid on a piecework basis or be paid for time actually spent working, as opposed to time at work. For example, my son spent a short period of time on a grounds-keeping crew for a local agency for the developmentally disabled. He had to be at the office at a certain time. They would put everyone on a bus and transport them to a job site. The handicapped workers got paid minimum wage for the time they were at the job site. If they moved to another site, then the transport time was off the clock. Another local school for the disabled sells arts and crafts. Crafters are paid on a piecework basis. They also collect donated used Mardi Gras beads, which disabled individuals sort, count and repackage on a piecework basis. You may have seen a video on facebook where some people with vision impairments were complaining about Goodwill testing them periodically and lowering their pay if they could not work fast enough (since their vision was getting worse, they performed worse on each test). In short, sheltered workshops are the answer to the reality that some people are unable to do $7.25 worth of work in an hour, but are still able to do something productive. 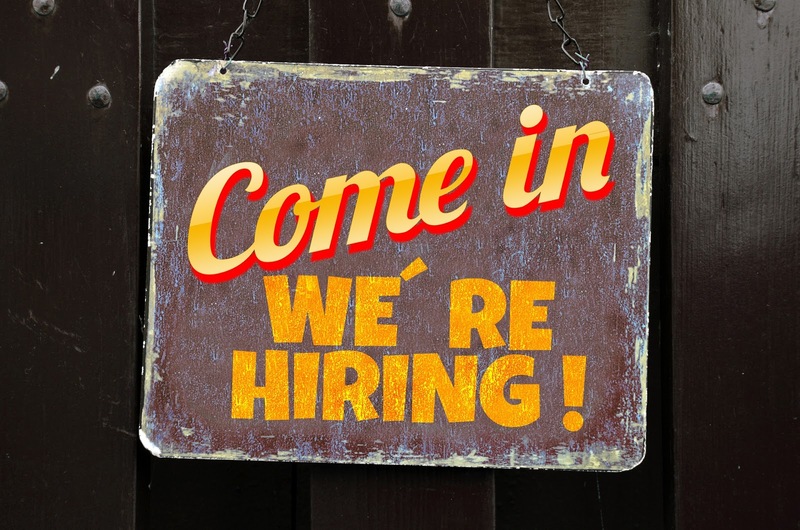 Which Level of Employment Should You Seek? The thing to remember about the employment process is that if your son or daughter is not able to independently find, interview for, get hired for and successfully work at a job that is open to all applicants, the agencies that help are generally funded primarily with government money and their goal is "good enough" as opposed to "the best possible". You are the one who wants the best possible. Be optimistic, but realistic. Think about your place of employment. What job there could your child realistically be taught to do in a manner that is as good at the person who is now doing it? What jobs have you seen people do that you think your child could do? Was your child mostly mainstreamed at school, or did he spend most of his time in special education? Are her handicaps physical or mental? If you believe it is realistic to think that your child could hold a regular job, even if she/he would need help in finding it and training for it, then hold out for supported employment (I assume if we are even having this discussion that your child has not gone out and found a job). Only accept a sheltered workshop if supported employment isn't possible, even if it means waiting or more training. As I said earlier, there is a limited pot of money, and the providers are looking at "good enough". Once your child is placed, their job is done. While it may seem logical to start at a sheltered workshop, gain work skills and then move to supported employment, that isn't the way the system works. Once your child has been placed in a job, whether in a sheltered workshop or in supported employment, there is no money to help him/her find a better job. The money only comes back if your child loses his/her job, which isn't likely in a sheltered workshop. I don't know how the process works in other states, but in Louisiana, once you are approved for SSI, they inform you about Ticket to Work. If a job is a goal, the next step is an appointment with the Louisiana Department of Rehabilitation. They interview the client and, if desired, a family member. This is the agency that controls the money, but they don't provide any actual services. They give you a list of service providers--some are non-profits dedicated to the handicapped like ARC or Lighthouse for the Blind and some are for-profit companies that serve the disabled. You are allowed to pick the service provider you want, and local transition fairs even give you a chance to meet several in one place. One you select a provider, that company will set up an evaluation and when it is complete, they will be paid for it. Based on the evaluation, which looks at job skills, people skills, work habits and interests, the provider begins to seek employment for the client. Most of these groups have contacts in local businesses so they are able to (hopefully) conduct a more successful job search than you might be able to do; however one vendor we used with my son simply went up and down the road applying for various minimum wage type jobs. On the other hand, after the evaluation, another vendor told us that my son was not ready for the job market--she thought he could learn the skills he needed, but he did not have them yet. Based on her recommendation we put him in a job training program run by a local school for the disabled. He went to work at a local healthclub and instead of them paying him, I paid for him to do it. A job coach was there to supervise him (and he needed a lot of supervision at first). Once the employment secures a job interview for the client, the vendor prepares the person for the interview and may even give him/her a ride there. Once a job has been secured, the vendor receives the next payment. What is important to remember is the vendor gets the same size check whether they spent one hour or one hundred hours on your case. Once a disabled individual has been hired, the employment vendor sends a job coach with him or her to the job at first. It is the job coach's job to shadow the new employee and make sure she/he can do the job and understands what is expected. For example, at my son's job, they tell them when to get there in the morning, and they send them home when they are done for the day, so they don't schedule a quitting time. My son's first question when he got there was "When do we get to go home?". That sounds to many employers like an employee with one eye on the clock and one on the door--not what you want. However, my son loves routine and predictability. The job coach figured out that if you told him he'd get off by 5:00, and let him go at 3:00, rather than being angry about missed hours like many employees would be, he was glad that he got to go home early. The job coach fades out as the employee acclimates to the job. Once the employee has been on the job for a certain length of time, the vendor gets the final payment from that pot of money. There will be no more job hunting/acclimation money unless the client loses this job. At that point the process starts over. However, there is another pot of money, referred to as "waiver services" that provides money to the agency for ongoing support of the employee and the employer. Are you the parent of a disabled young adult who has found employment? How did your job search proceed? If you are going to be a financial blogger, you have to decide how much of your financial information you are going to make public. On the one hand, I know that when I read blogs, I like to see people with whom I can identify. 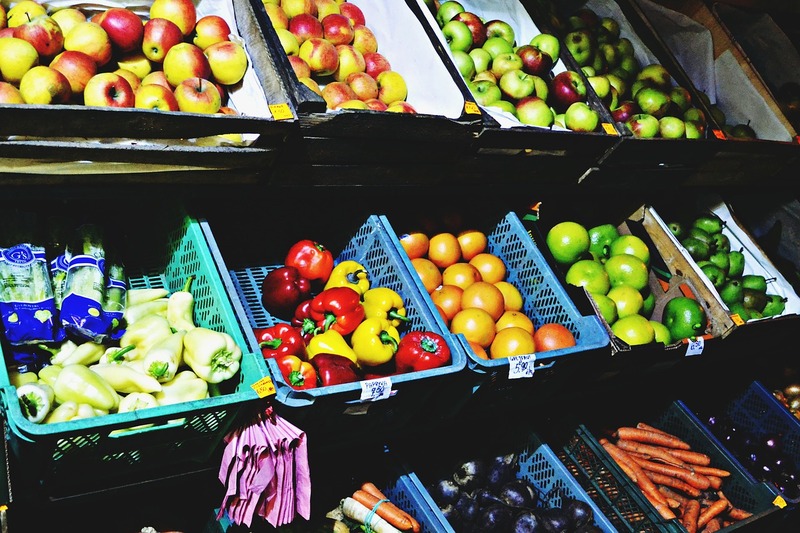 To me, it seems like it would be easy to save money if you have income that is twice mine (though I know that many people in that income bracket have expenses that are twice mine as well). Also, if you are going to tell me how I should invest my money, I'd like to see some evidence that you are successful at managing yours. On the other hand, I'm not comfortable spilling all the information about my income and net worth. To that end, I've decided that there are certain investments about which I will be writing. I'm going to give you some idea of how important they are to me, and will detail my earnings and losses. On other investments I'm going to talk about percentages. My Peer-to Peer Lending accounts are accounts on which I'll be making full disclosure. As to how important these accounts are to my net worth, I'll just say that these accounts are our next two cars (we buy used). Losing every penny might not be catastrophic but it would definitely hurt. Peer-to-Peer Lending, a/k/a Marketplace Lending is an online marketplace where those who want to borrow money can do so, if they qualify, and where those who want to invest money can do so by purchasing all or part (usually part) of those loans. As the borrowers pay off the loan, investors receive payment of principal and interest. I put $5,000 in Prosper at the end of 2014. I added $5,000 each on February 16 and March 23. On January 30, 2016, I deposited $300. As of February 9, 2016, the account is worth $17,005.97, meaning that in a little over a year, I have earned $1705.97, which has all been reinvested. This portfolio has always been auto-invested using tools on Prosper's website. About 1/3 of it is in A and B rated loans. According to Prosper, my annualized return is 13%. However, right now I have thirty-nine late notes; the question is how many of them will default. Prosper does not publicly predict this. Rather, Prosper breaks down your return by "All Notes" and "Seasoned Notes". Experience has shown that most borrowers who default do so relatively early in the life of the note. Prosper considers notes to be "Seasoned" by 10 months; after than, in their experience, returns stabilize for a given vintage and do not drop quickly or significantly. My seasoned returns are $13.41% because my early purchases did not include A and B notes. To put that number in perspective, the average yield of my notes at acquisition, in other words, not accounting for defaults, was 17.09%. Lending Club was my first foray into Peer-to-Peer Lending. I've done a lot of different things within this account, frankly to the point that I've lost track of some of them. Some of the notes were purchased to attempt to get a high yield. Some were purchased with safety in mind. Some were new when purchased; others were bough on the resale market. In total, I invested $17,550 between July, 2015 and March, 2015. Lending Club shows you two different rates of return. The first is the rate that is comparable to Prosper's--a rate that does not penalize you for late notes until those notes are actually charged off. As of February 9, 2015, that rate is 10.76%. Lending Club also offers an "adjusted" rate of return, which writes down late notes by various percentages based on how late they are. It is a hypothetical return--the write down doesn't actually happen, but it is supposed to give you a more realistic view of your likely returns. My adjusted rate of return is 7.93%. My current account value is $19,405.45, which is adjusted to $18,919.69. This is the easy way. While it does not take into account uninvested cash, it is accurate as far as the notes themselves go and it gives you a benchmark to compare to the platform. The "seasoned" returns for Prosper and the "adjusted" returns for Lending Club are more accurate than the gross figures. If you are not adding to or subtracting from your account regularly, this method is easy. Simply review your monthly statement and see how much more (or less) money you have at the end of a period than at the beginning, and then annualize that number. My Lending Club figure, computed from March forward (since that is the last time I contributed money) is 10.22% and that does not account for late notes. For Prosper is is 11.54%. In short, for accounts with no principal infusion for eight months, my XIRR returns are about 1% less than the returns quoted on the platforms. Nevertheless, over the last year, this has been my best performing investment. Maybe. In some states, those who invest in peer-to-peer notes are required to have at least $70,000 in investable assets. I've read that it is recommended that no more than 10% of your investable assets be in peer-to-peer lending. I've also read that the best way to protect against substantial loss is to diversify, meaning to purchase at least 100 notes. Prosper claims that since July, 2009, no one who has purchased at least 100 notes has had a negative return (Prosper's system was vastly different prior to July 2009). Lending Club states that historically, less than 1% of those who have invested in at least 100 notes have had a negative return. If you have few investable assets, peer-to-peer lending is too new and too risky for you. On the other hand, if you have $2,500 or more that you can afford to lose, Lending Club and Prosper offer the possibility of returns far higher than bank accounts (with much more risk), and because of the monthly payments made by the borrowers, they can be set to return substantial cash to investors relatively quickly. For example, between January 1 and February 9, my account has paid over $1,600 to me in principal and interest. While I've reinvested it, I could have withdrawn it if I needed it. I would recommend going to either Prosper or Lending Club, opening an account and investing $2,500. Use that money to purchase 100 notes spread over different risk levels using the auto-invest feature. Then, sit back and watch. See how defaults affect your returns. Watch the interest accrue. Read articles about filtering and check out some sites that do it for you like NSR invest or Blue Vestment. Decide going in that you are going to leave your money there for at least a year, and that the money you invested is money you can afford to lose. After a year, review the situation. While most people find that the higher potential return of C, D, and E notes makes them a better investment than A and B notes, others hate the idea of loss of principal and so prefer to stick with less risky notes. After a year you should be in a position to move your portfolio toward your preferred risk/return profile. I have found peer-to-peer lending to be a valuable addition to my portfolio and believe it is appropriate for many people; however, I am not a financial adviser, and realize that no investment is right for everyone. Use your own best judgment; no one cares about your money as much as you do. This week's Kickfurther Merchant of the Week is Brewjacket, and visiting with us is founder, Aaron Walls. Their product is the BrewJacket Immersion, the world’s first all-in-one fermentation temperature control system for homebrewers of beer. Immersion is a powerful solid state cooler and temperature controller that gives you the ability to make the best homebrew lagers and ales you have ever created, without sacrificing space to a refrigerator. Q: I saw on Kickfurther that you started homebrewing back in 2005 as an undergraduate. What was it about homebrewing that caught your interest? A: In 2005 I was fortunate to participate in a study abroad program in Spain. 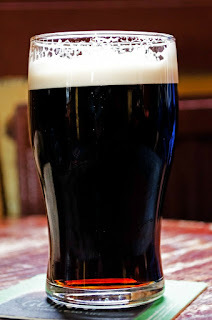 After the program ended I traveled Europe for 2 months discovered a jaw dropping variety of beer that varied immensely in every country I traveled to. When I returned home to Georgia, there was no beer with personality. 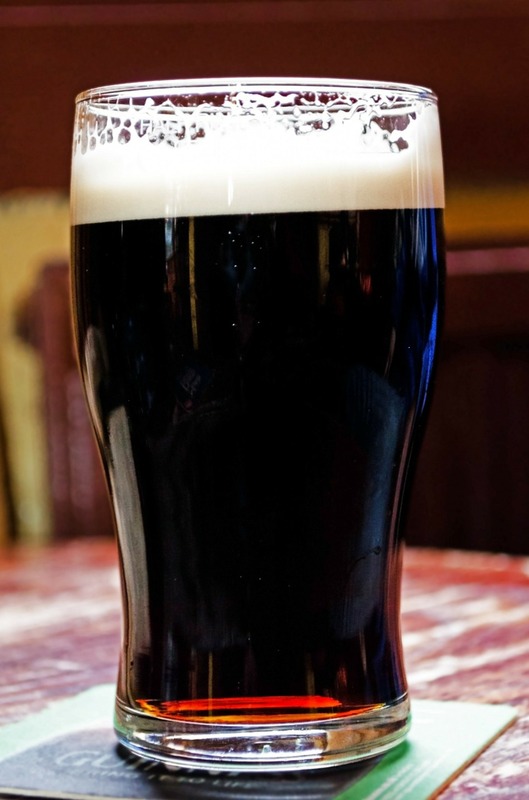 Until 2004, any beer above 6.0% ABV was prohibited, and even in 2005, the supply of good beer was still very low. The only way to enjoy high quality craft beer was to brew it yourself. This has thankfully changed in recent years and craft beer availability in Georgia is finally widespread. Q: The Brewjacket looks like a really cool product. I'm sure for people who homebrew on a regular basis it is a worthwhile investment. Do I need to spend that much money if I want to try out homebrewing to see if I enjoy doing it and like the final product? If I want to give home brewing a try; what do I need to buy and about what will my first batch cost me (assuming it is my only batch)? What will I need to buy for my second batch? A: To begin brewing, you just need a kit that will set you back around $75. However, to make consistent, high quality beer, we recommend purchasing a BrewJacket Immersion. If it’s your first batch and you want to just experiment with brewing and aren’t ready to purchase a BrewJacket Immersion, the thing to remember is that the yeast is the thing that can make or break your homebrew. A: You can easily control everything in the beer brewing process with just your kitchen stove and your brew kit, except the yeast fermentation temperature. If yeast temperatures are just 2º or 3º F above optimum, they can produce a host of byproducts that can make your beer taste pretty bad and certainly won’t win you any brewing competitions! Confounding this, yeast produces 5-10º F of heat within the fermenter, so the yeast themselves can drive the temperature of the fermentation well above your ambient temperature and break your beer if you don’t remove the heat. Before BrewJacket Immersion, homebrewers bought second refrigerators that were used exclusively to hold 5 gallon buckets of fermenting beer. Immersion allows you to replace the refrigerator with a 5” thermoelectric cube. Q: So what is involved in homebrewing? A: Beer brewing consists of two fundamentally distinct phases: the hot and the cold. The hot side encompasses water, malted barley, and hops, all of which you can do on your kitchen stove. The cold side is all about the yeast, which requires temperature control or refrigeration. For the hot side, you just need a pot large enough to hold 3 gallons of water, a small bag to hold hops and grains (less than $1 at your local home brew supply shop), and ingredients for a batch of beer. Most recipes make 5 gallons of finished beer and will cost between $25 and $40 depending on the style of beer you are brewing. Many brew shops sell pre-packaged recipe kits that are fantastic for beginner brewers. The cold side requires a fermenter ($15), bottling bucket ($15), some tubing ($5), bottle caps ($2), a bottle capping tool ($10), bottles ($20 – or just save your used, non-twist off bottles), sanitizer ($8), and a bottling wand ($8). Your local brew shop will also sell kits that include all this plus some extra goodies for between $59 and $79. The hot side is generally straight forward. You place all of your ingredients into a pot and boil for 60 minutes adding hops as you go. When your beer is done, you have wort, or non-fermented beer. You cool this down and pitch yeast into a sanitized fermenter. This is where most homebrewing goes awry. The two biggest mistakes beginner brewers make is improper sanitation (allowing bacteria to grow instead of yeast) and/or improper yeast temperatures, both of which can spoil your hours of work and almost $40 spent on ingredients. BrewJacket Immersion controls the fermenting beer’s temperature, giving yeast the perfect environment for creating world class craft beer, and does so without putting a large refrigerator in your living room. If your fermenter is too hot or too cold, off flavors form that can ruin your batch. Q: Definitely sounds more complicated than making Kool Aid. I know people can get passionate about the flavor of craft beer. Are your co-founders beer makers or beer drinkers? A: They began BrewJacket as beer drinkers but have brewed many times with me. Q: .So, tell me about the Brewjacket, the story of its conception and birth if you would. A: After graduating from UGA in 2006, I moved to Atlanta where I worked as an economist for a research firm. I began brewing every weekend with a group of friends and we continually struggled with fermentation temperature in our small apartments in hot Atlanta. In the summer, our beers had significant ester profiles that caused many to be undrinkable and I began searching for solutions to lower the temperature of the fermenter without using a second refrigerator in my 600 square foot apartment. I am a long time computer nerd and knew of a technology called thermoelectrics that is used to rapidly remove heat from computer processors allowing them to reach higher speeds. I began experimenting with these chips as a way to cool beer, but my limited engineering experience held the project back. In August 2012, I began an MBA program at Cornell University and while there that I met my two partners Matt and Evgeniy, both incredibly talented engineers, and they wanted to give a beer cooling device a shot. We began developing prototypes and formed BrewJacket in 2013. By that fall, we had progressed enough to be accepted into eLab, Cornell’s accelerator program and we launched a Kickstarter for BrewJacket Immersion in 2014 that raised $108,000 in pre-sales. After graduating, we moved the company to Boulder, CO where we finished fulfilling our Kickstarter orders and began routine production of the product. We’re now eight months into production, and sales are very strong. Q: If readers are unfamiliar with Kickfurther, it is an investment platform that crowdfunds inventory purchases for businesses. Instead of loaning money to companies, Kickfurther, as agent for its investors, purchases the inventory from businesses like Brewjacket and then gives it back to them to sell on consignment. As the product sells, investors' money is returned to them, plus a specified rater of return. How did you first hear about Kickfurther, and why did you decide to use them? A: One of the benefits of relocating to a tech startup hot spot like Boulder, CO is access to its vast community of entrepreneurs working on interesting projects. One of these entrepreneurs turned out to be Sean De Clercq, whose company, Kickfurther, came out of the Boomtown accelerator just one block from the BrewJacket office. As a newly graduated accelerator company ourselves, we were working to expand our production capabilities. To do so we needed cash, and without taking on early investors, cash is extremely difficult for new hardware startups like BrewJacket to come by. Our sales fund our operations, but we still need to purchase raw materials to fund those sales, so our cash will always be 3 to 6 months behind our revenues. Kickfurther’s model of connecting a range of investors to small businesses on a crowdfunded basis is brilliant, and solves quite possibly the biggest problem in hardware startups today. Q: You have one payment left on this Kickfurther offer. Can we expect to see more? Why or why not? A: We just made our final payment on our first Kickfurther offer. We’ve had a wonderful experience with Kickfurther and we plan on launching a new offer within the next month or two. We are completing a cost engineering update to the BrewJacket Immersion that will allow us to reduce its raw material cost and assembly complexity. This will allow us to produce Immersion in higher volumes with higher yields with lower costs. We will be coming back to the Kickfurther community to help fund inventory with these improvements. Q: Hopefully, I'll be one of your backers when that happens. Would you recommend Kickfurther to other businesses? Why or why not? A: Absolutely. As a hardware startup, we have first hand experience with the significant disadvantages new hardware companies are dealt in the world. Not only do we share the same disadvantages as software startups such as burn rates for engineering and web hosting, but hardware startups also have to deal with the physical cost of prototyping, extended prototype production time, inability to update hardware in the wild (unless it’s wifi connected), massive production lead times, supply chain issues, large equipment purchases, raw material purchases, the list goes on and on. For our launch product we weren’t ready to raise angel capital and our market size was too small for venture capital, which that left us with bootstraping the business. We paid our founders in equity and paid the small monthly fee for web hosting out of our shallow pockets to grow the company. However, once we added raw material purchases for production and setup costs like plastic injection molding, our cash requirements jumped well north of six-figures. Confounding the situation is the fact that like most hardware startups, were too new to raise capital from a traditional bank. This is precisely where Kickfurther comes in. Q: Have you tried Kickfurther from the investor side? Why or why not? Would you recommend that your friends or family invest via Kickfurther? A: I have not given my personal financial restrictions with the company still in fledgling form, but it is something that I would be interested in later on. Q: Anything else you'd like to talk about or tell us? A: We will be launching a Kickstarter campaign very soon for our next generation BrewJacket Immersion Pro which adds the ability to heat on top of it's ability to cool. A: Kickstarter. We'll be doing another Kickfurther offer soon too. You can participate in the Kickstarter campaign starting February 16 at 7:00 a.m. MST by clicking here. Well, Aaron, thanks for joining us. I wasn't expecting quite the lesson in homebrewing, but it sounds like an interesting hobby, especially if you like different types of beer. If you are interested in buying a Brewjacket Immersion, you can find them on Amazon: BrewJacket Immersion - Mini Homebrew Temperature Control System . You can learn even more about homebrewing on Brewjacket's website, which even includes a blog and a message board where you can interact with other home brewers. If you'd like to invest and help companies like Brewjacket finance inventory, use this link and you will get $5.00 toward your first $20.00 investment. If you have a company that wants to finance inventory via Kickfuther, use this link and I get a commission (bloggers got to eat too). If you haven't been following this series, I'm trying to break my habit of eating out at lunch for no good reason. Each day I bring my lunch gives me $5.00 to invest in stock with Loyal3, an online commission-free broker. I brought my lunch four days this week--well actually only three since I didn't work on Mardi Gras but I also didn't eat out, so I went ahead and counted Tuesday when determining the amount of money to contribute this week. I looked at my portfolio and decided to buy more Kohls. I've seen a lot of articles this week debating the pros and cons of Kohls at this price level and I decided to buy. About like the market--so no. One of my New Year's resolutions was to follow a budget this year. We make about average salaries, have no debt (not even a mortgage) except for some furniture on which we have a no-interest loan, and have three kids. The oldest lives with us and pays $500/month for rent, food and whatever else we give him. The middle child in in college and after her scholarships are applied, her tuition, room and board comes to about $5,600/year. The youngest is in Catholic school and between tuition, after school care and summer camp, she costs us about $6500 per year. We drive old cars but my husband and I carry a lot of liability insurance. Compared to what I've seen other places, I think our property taxes are low (about $550/year on a house that is worth about $180,000) compared to what a lot of folks pay, but our homeowner's and flood insurance is high ($4,300 for homeowners; $700 for flood). Still, I think we should be able to save more money than we are--I think there is a lot slipping through our fingers (and into our mouths is my guess). This month I made a rough budget, spending all our take-home pay and we agreed to track our spending. I put lines in the budget for the once or twice a year bills and while I may one day open another checking account and transfer the unspent money from each budget over there, to set it aside for those big bills, for now, I'm just leaving it where it is. Under house expenses, we budgeted for our utility bills, maintenance and "supplies", which is where I put the furniture payment. 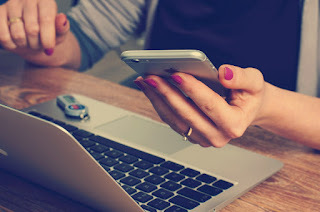 This month I way under-budgeted for phone bills--I put the house phone/cable bill there but forgot about my college girl's $35/month cell phone bill and I didn't allot anything toward the $100/year each that my husband and I pay for our phones. We came in $63 under budget for electricity and $14 over for gas, which is about right since it is winter. That will reverse in the summer. I budgeted toward the water bill, which, due to taxes we expect to increase this year. However, we are billed every other month so we'll have to wait until next month to see how that goes. I budgeted $100 toward maintenance and repairs, but didn't spend anything in January; however I have a plumber coming February 1. All total, we spent $259 less than budgeted, but I'm not ready to cut this category yet. The transportation category includes our car insurance, gas, maintenance, and $300 savings toward our next vehicle. 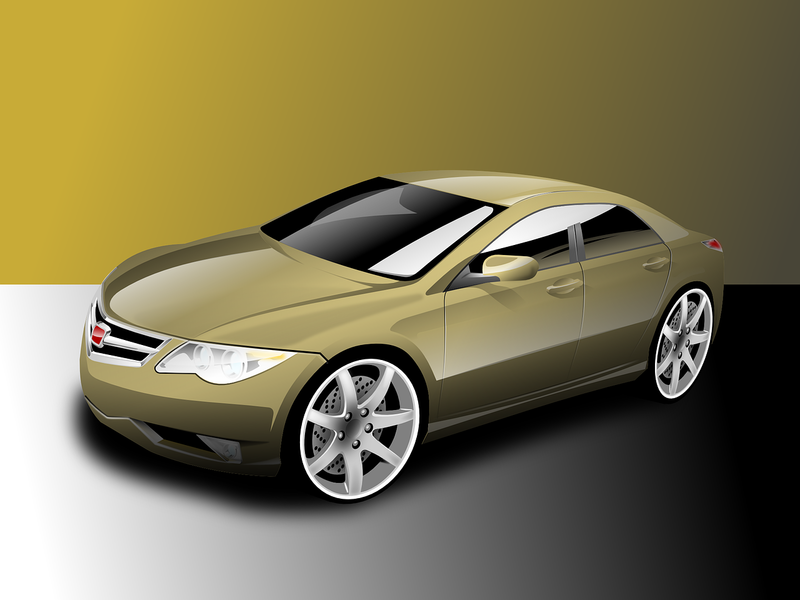 We have enough money in the bank for that vehicle; therefore the plan is to invest that $300 with Lending Club or Prosper, and, when we do buy a car, to stop reinvesting the money paid on those notes and transfer it to the bank. I marked the contribution toward yearly fees as "spent" on the budget, even though the money is in my account. The budget called for $150 in maintenance but my husband's brakes cost $516. I budgeted $200 for gas but between not driving much, the low cost of gas and fuel perks, we only spent $80. Still, we were $246 over budget for cars. We do not include health insurance in our budget since it comes out of our checks before we see them. 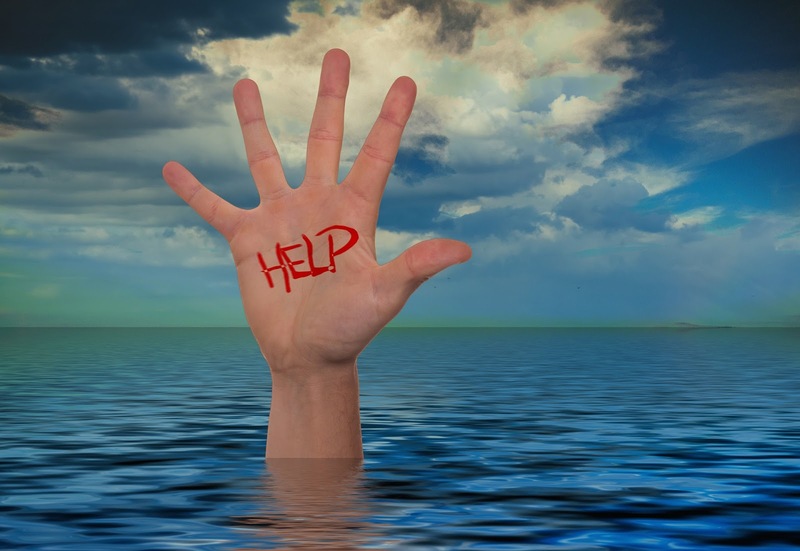 We do have our homeowners, flood, car and life insurance here. None was due this month but I charged the budget for them, so this category broke even. This category includes both groceries (meaning everything we buy at the grocery store or all food we buy) and restaurants. We budgeted $1,200 for groceries and $250 for restaurants. This will be a high-expense month as my college girl has been home (and eating). We overspent this category (which was generously budgeted compared to a lot of websites I've seen) by $150. If we need to cut, this is an easy target. Tuition and daycare are the big expenses here, and there is a $100 "other" because we all know kids cost you money were you least expect it. Our Christmas savings are in this category as the kids are our major Christmas expense. The $1000 for tuition was marked as spent even though no check was due this month. I budget $125 for childcare but only paid $33. That too was expected--summer camp is the big expense there, so I marked all $125 as spent. This month the kids cost $300 less than budgeted. I couldn't remember if I adjusted my withholding after the big tax bill I got last year or not, and looking at my W-4, it looked right. I budgeted money and marked it spent. Our big charity is our church; the Catholic school and it's projects are next. This month we are over, and this is one area where I think the budget definitely needs to be adjusted upward. I have lines in here for medical, haircuts, clothing etc. We did not spend any of it. We budgeted $300/month and this month we only spent $50. The big leak in our spending is where I figured it was--in what goes in our mouths. I'll follow this budget for a few more months--it really is more a reflection of reality than a plan going forward, and then decide to what extent we are going to try to limit spending in some areas, and in which areas I budgeted too much. This week my Kickfurther Merchant of the Week is Harvey Prince Organics, a maker of luxury cruelty-free, vegan, gluten-free perfumes and beauty products. Harvey Prince Organics was one of the early vendors on Kickfurther and they just finished raising money on their third offer. Harvey Prince was founded by two brothers who sought to create the perfect perfume as a Mother’s Day gift for their inspirational mother. In doing so, they realized something incredible: boutique-quality scents should not be overpriced, intimidating, and filled with toxic chemicals. The brothers crafted a fragrance, Ageless, that captured her effortless beauty and radiant aura, When selecting what name would properly encompass their brand, the two brothers looked inward: the younger of them graduated from Harvard University while the older one graduated from Princeton University. They each had a light-bulb moment: why not combine the best of both worlds? Taking Harvey from Harvard and Prince from Princeton, the brothers agreed on the name of their brand and in 2007, Harvey Prince® was born. Besides selling on their own website, where they offer both full and sample sizes, Harvey Prince Organics products have been in Ipsy and Birchbox, where they are well-reviewed. Today we are visiting with Karthik Aggarwal, Communications Director for Harvey Prince Organics. Q: So, which is better, Harvard or Princeton? A: It is like asking who is your favorite child? I can't answer this question except that "It alternates everyday”. The closet is full of tee shirts, clothing and tea cups and slippers etc from both schools. We don't wear two tee shirts at the same time or same day. Sometimes when we layer up we wear a Princeton tee shirt with a Harvard hoodie, or vice versa. Q: Ok, I just had stir the pot a little. Your "The Story of Perfume" boxes intrigue me. Which countries have you visited lately via those boxes? A: Recently, as far as less than four months ago, we visited Italy and India (the next country to be featured - February box). We are working on a trip to France. We already visited Grasse but another visit is due to the Musee du Parfum in Paris (March box). Q: I had to look up Grasse to learn that it is a city on the French Riviera. Have you had any feedback on the Italy box? A: Most people are in love with Baciami. The response was so huge and it became such a popular perfume for women that Baciami will become a regular perfume available in all sizes. The scent will not be repeated in a box except as a sample vial, but not the mini roller. The Mini roller will be available to everyone for $30. Also, something very, very important because you mentioned Grasse again. The Story of Perfume Box was designed specially to raise awareness that we at Harvey Prince no longer believe that Grasse is the capital of all things perfume and fragrance and flavor. We want to shatter this myth by introducing perfume ingredients sourced from many countries rich in the art of the perfume tradition. Cleopatra who was a perfume lover bestowed a lot of resources to the perfume industry in Egypt. Maharajahs in ancient India created endowments to the fragrance industries in India. The Kama Sutra mentions perfume, fragrant oils, fragrance ointments etc. as necessary products for love making. Ancients cultures used perfumes, oils, soaps, incense sticks all richly perfumed. All this way before Grasse was developed. Q: Are your products available in stores? Which ones? A: No. We are more and more convinced that we want to deal directly with our clients. Q: Which product is your bestseller? A: Hello, Sincerely and now Baciami are our most popular, best-selling perfumes for women. Q: For the sake of new readers, Kickfurther is an investment platform that crowdfunds inventory for businesses. Instead of investors lending money to businesses, Kickfurther, on behalf of investors, purchases the inventory, and then returns it to businesses to sell on consignment. As the inventory sells, investors receive their investment back, along with an agreed-upon profit. How did you hear about Kickfurther, and what made you decide to try it? A: We were contacted by them and we liked the concept. We really thought this concept was strong and would grow and gain popularity sooner or later. Q: How, from your viewpoint as a manufacturer, is Kickfurther better and worse than conventional financing? A. Better, if the interest payback is in line with or better than other financiers. All things being equal, if we had a choice between private corporations like banks and individual people, we would chose to empower the public directly. Power to the people. Power to disruption. Q: You just funded your third offer, and I was one of your backers. I guess that means Kickfurther is working for you. Would you recommend it to other businesses? A: YES. Absolutely. We know banks are not lending as much these days and instead investing in other products. Moreover, banks do not care about smaller companies. America was and still is all about little companies and entrepreneurs creating jobs and really driving creativity and the economy. Q: Have you tried Kickfurther from the investor side? Would you recommend that friends invest via Kickfurther? Why or why not? A: YES and all our employees are also investors. It is a great platform and safe as long as you pick the good companies. Do not pick brand new startups that have questionable products or service. Go with companies and products you believe in. Also try to remain diversified. Q: Could you tell us some of the companies you have chosen to back via Kickfurther and why you chose them? A: I'd prefer not to name specific companies, but generally we pick those in the same industry as we are in. Also we should add that we do invest in more than couple of companies. It is just good karma. Q: Have you picked any that have disappointed you? Q: Would you like to sponsor a Rafflecopter giveaway of a product? A: We don't want to hurt anyone’s feelings. Our products are designed to make people happy. Rather than a Rafflecopter giveaway to one person, let's giveaway the Baciami Mini roller ($30 MSRP) for free to ALL your readers! We will also include a sampler of the Sincerely Body Cream. They have to add both to their cart and then enter the code at checkout. They just pay shipping and handling ($6.50 flat rate, so feel free to fill your cart with other goodies)! The coupon code for this is code kickitfar. The code is good until March 15 and readers can use it as often as they want. Q: That's a generous offer. Thank you! Anything else you want to tell us about Harvey Prince or about Kickfurther? A: Both are great companies with a great future. Both have great products and both are disrupters. All this is good for consumers and investors. I'd like to thank Karthik for visiting with us today. Harvey Prince has been a good investment for me and I hope everyone enjoys their products. If you haven't been following this series, I'm trying to break my habit of eating out at lunch for no good reason. 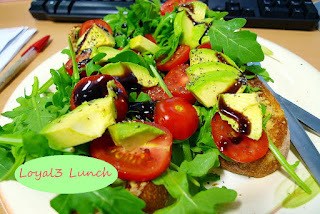 Each day I bring my lunch gives me $5.00 to invest in stock with Loyal3, an online commission-free broker. I brought my lunch four days this week; today I had to pick my daughter up from school since they got off early after the school Mardi Gras parade and she begged me for smoothies so I was nice and bought them for both of us. I looked at my portfolio and decided to buy more Target since that's the one in which I had the least invested. Now that most tax forms have been issued, most Americans are either preparing to do their taxes or get them done, or are putting off doing them or getting them done. Those who are expecting a refund are generally in a bigger hurry than those expecting to write a check. Nevertheless, we all need to attend to this chore in one way or another. So, Should I Do My Own Taxes? Without hesitation I will say "Yes" you should, unless you have done it yourself recently, or unless you are wealthy enough that the time it takes to work through your return is more valuable than any money you might save. However, I do not necessarily suggest that you file that return. But I'm Not a Tax Professional; How Would I Do a Tax Return? The same way most tax professionals do, with software. Most of the big tax preparation software companies offer free online versions, and that is what I use. If you go to most of the storefront tax preparation offices, you are going to work with a preparer who knows little if anything more about tax law than you do. Those people ask you questions as prompted by the computer and fill in the answers you and/or your documents give. They are not qualified to give legal advice or accounting advice. They fill out forms. You can fill out forms on your own computer. I Don't Know--Are You Sure I Can Do It? Yes, I'm sure. I've done our taxes most years since we've been married (27 years), and I did my own before that. I started with the tax form and the instruction book, moved to software from the computer store, and, for the last few years, to online software. The software asks the questions; you answer them. What is your name? Social Security Number? Your spouse's name? Children? How old? Were you employed? By whom? Did you get a W-2? Enter the information here. While some of the steps are different between different programs, basically they all lead you to enter all the necessary information. All the questions can get annoying, but the programs have been set up as a collection of "if-then" routines. If you have children, then it asks their ages, and if one is childcare age, at some point it will ask you for your childcare expenses. If one is college age, at some point it will ask for your tuition expenses. Work your way through the program of your choice. I've used Turbo-Tax, Tax Act and H&R Block's online program. I often use two in one year to see if the results are the same; if they aren't, I try to figure out why (typing errors are the usual answer). 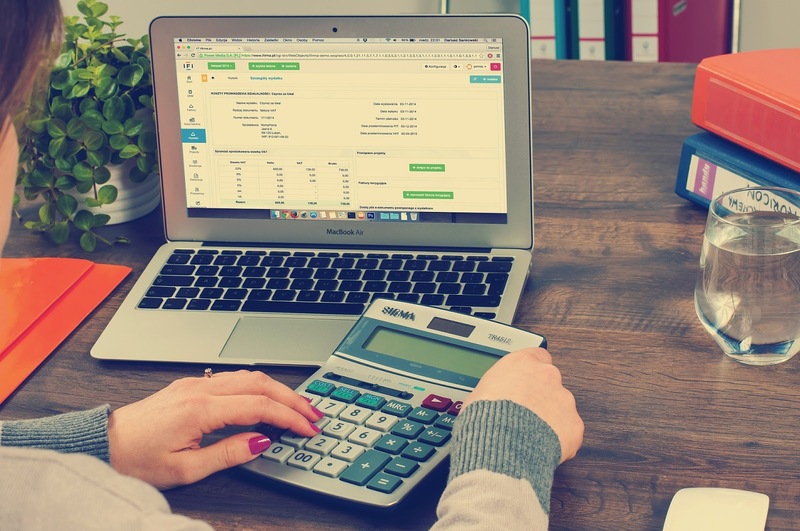 I Know I Want a CPA to Do My Taxes, So Why Should I Do Them First? There are good reasons to use a CPA to do your taxes. If you have rental property and are figuring depreciation and deductions or if you have a business and are trying to decide of certain expenses are deductible, or if you want advice on what you can do next year to reduce your taxable income (which is different from increasing your refund) from the business, a CPA or tax attorney may be worth the cost. 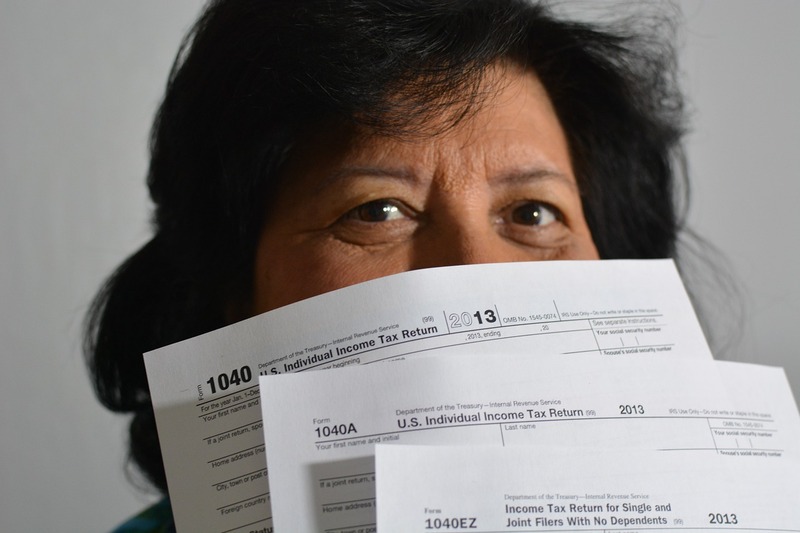 If you have non-standard investments, the tax software may not know how to handle them. However, for most people who are paid an income that is reported on a W-2 or 1099, and who have investments for which they receive tax forms from the investment company, a CPA isn't going to be able to save you any money over the computer. If you don't believe me, do them yourself on the computer, and then get the CPA to do them. What's the difference? What about if you really do have a good reason to give the job to the CPA? Do them yourself anyway, at least every few years. Why? Because I think every adult needs to know how their income taxes are determined. Maybe you can really get this information from your tax form, and understand it, but given the large number of people who pay data entry clerks to do their taxes, I question how many people really understand the system. If you understand the system, you can do a better job of making it work for you--even if that means being better prepared to question your CPA as to get the best advice from him or her. You Said the On-line Versions Are Free: What's the Catch? They make their money from the "freemium" model. The software is free to use, but along the way they offer you the chance to buy various upgrades. Most people can complete a return without them. Some offer the federal return at no cost but charge for the state. Note: Since writing this article I have become aware that the IRS has deals with several companies that require them to offer free Federal filing, if your income is under $62,000 and if you enter the software via the FreeFile link. Check the information on this page carefully before you start your return to make sure you are dealing with one that fits you. I did my son's 1040EZ on one that wouldn't let me free file because of his age. Since the form was simple, I just re-did it on another service, but had it been more complex I probably would have paid the money just to have it over with, which is what I suspect they hoped I would do. When you realize you are in over your head, that's when. No one but you knows when that is but if you have filled out the forms, answered the questions and you can't get the error messages to turn off, or if you owe far more than you thought you would, asking for professional help may be the only answer, but see a professional--a CPA, tax attorney or enrolled agent-- not a data entry clerk at a storefront tax preparation service. A few years ago my autistic son was in an expensive program at a school for the developmentally delayed. It is a program that, had he made it to the top of a waiting list, tax dollars would have paid for. However, we did not want to wait, so we paid the fees. I wanted to know if they were deductible. I read everything I could find about the subject, and I still wasn't sure--I was leaning toward saying they were not, but I wasn't sure, and the amount of money at stake was substantial, so I asked a CPA. He too researched and looked at it a couple of different ways, and when it was all said and done, said that no, the expense was not deductible. Even though he did not get the answer I wanted, I do not think I wasted my money. On the other hand, the rest of the return he did matched the one I did, so I felt confident doing my own return the next year. Who Should Be Able to Do Their Own Return? If your income is all accounted for on W-2 and 1099's, if your investments are all in things that issue yearly tax forms and if you do not own a business, then you are unlikely to have problems with your tax return. If you do not own a house or a business, you are not likely to be able to itemize your deductions and should be able to complete a simple tax form. Complete your return on one of the online services and, if you paid someone to do your return last year, compare them (actually comparing your return to last year's is a good way to catch any omissions in any case). What is different? I'm not talking about exact numbers--a person who earns exactly the same from one year to the next is probably rare--but look at the lines. Did last year's return have an entry on line 19? Why? Does this year's return? Why or why not? Do that for each line. For most people, filling out tax returns is tedious, not hard--and by the time you've gathered the information for the tax preparer (whether that person is a data entry clerk at a storefront service or a high-priced tax attorney) you've already done half the work. You probably can do your own taxes and you should have an understanding of how your taxes are computed, which is information best learned by completing a tax return. Try it, even if you do decide to hire someone to do the final copy.